Auto Insurance Q & A: How Long Are You Considered a High Risk Driver? In our efforts to make our blog as helpful a resource as possible when it comes to insurance related matters, we’re going to start doing up some posts that answer some of the most common questions that come across our desks. In this first installment, let’s take on a question that we hear often from those looking for cheap auto insurance: How long are you considered a high risk driver? So first off let’s quickly define what a high risk driver is. It is someone who has been deemed by insurance companies as a higher risk than other drivers due to a poor driving record – violations, tickets and accidents. The greater the number of incidents and the more serious the violation, the higher the risk. Younger drivers are also considered higher risk because of their lack of driving experience. You can learn more about young drivers and auto insurance here. Why does a high risk designation matter? This matters when it comes to auto insurance because, no surprise here, when you’re considered high risk, you pay more for your premiums. So you want to do all you can to avoid being put in this category. And if you’re already there, your next question will no doubt be, how long will I be here and when can I expect a drop in my rates? How long are you considered a high risk driver in Ontario? In Ontario, tickets and infractions remain on your drivers record for 3 years. The same goes for a DUI. If you were in an accident and it was your fault, this will be on your record for up to 6 years. Have more questions about high risk auto insurance? 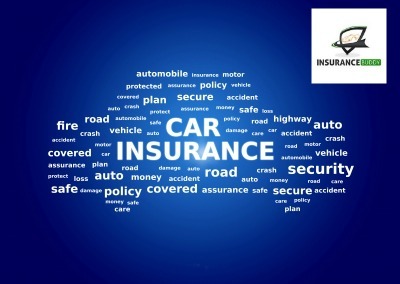 Want to be sure that you’ve got the cheapest auto insurance possible for your particular situation? Get in touch with us today or click here to get an online quote.